The fish fillet kit from Victorinox comes with an 8" flexible fillet knife, 10" curved breaking knife, 6" semi-stiff boning knife, 3.25" serrated paring knife, a handheld sharpener, and a nylon knife and cutlery roll. 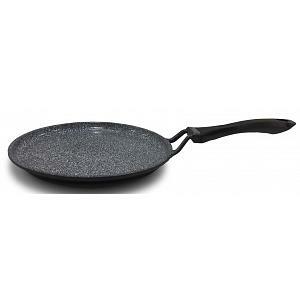 The knives features comfortable, non-slip Fibrox handles. 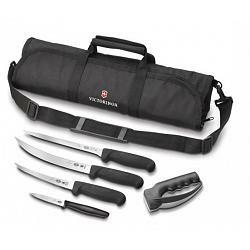 The fish fillet set is made in Switzerland by the makers of the Swiss army knives and has a lifetime warranty.